One of the things I love about New York City is the diversity. New Yorkers come from all over the world, and I think that is one of the things that makes NYC so special. We get to celebrate holidays from different cultures and try cuisines from pretty much any country you can imagine. I had visited Ellis Island a few years ago, but I wanted to learn more about the role immigrants have played in making the city what it is today, so I decided to visit the Tenement Museum NYC. What is the best Tenement Museum tour? 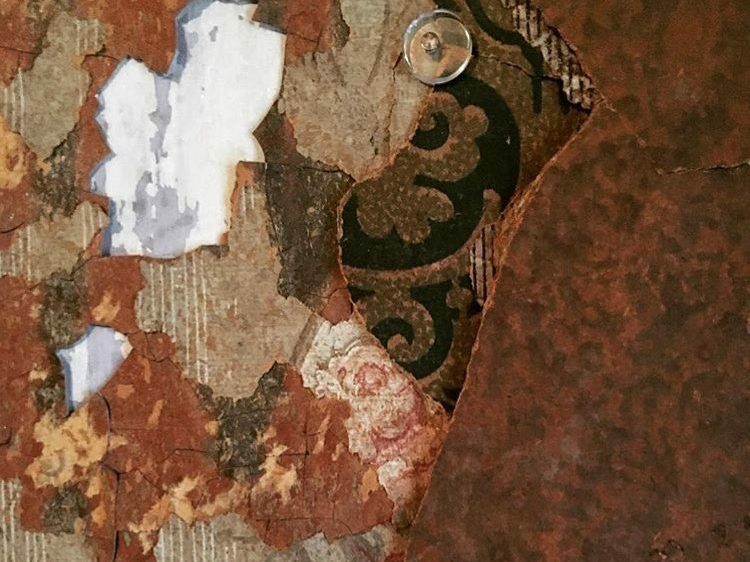 The New York City Tenement Museum is not your typical museum. You can only visit as part of a guided tour. I would recommend choosing your tour(s) and purchasing tickets online in advance as some do sell out. You will need to print your confirmation and bring it to the ticket office at the Visitor Center at 103 Orchard Street, New York. I would suggest arriving at least 15 minutes before the tour begins. They offer a variety of tours covering the different floors of the building and even areas in the neighborhood. If you want to tour the building, you can choose between Under One Roof, Shop Life, Sweatshop Workers, Irish Outsiders, or the Hard Life tours. They seem to add new tours periodically and also offer some extended tours which include more time for discussion. For foodies, you can even do a tasting at the Tenement Museum. Another way to get a better understanding of the lives of the people that lived in the tenements would be to do one of the “Meet the residents” tours that are led by costumed interpreters. 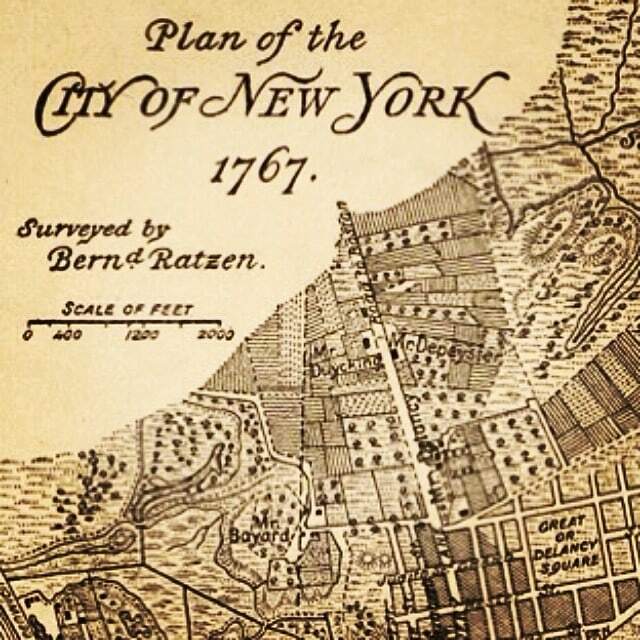 If the weather is nice, you might enjoy doing one of the Tenement Museum walking tours of the Lower East site. 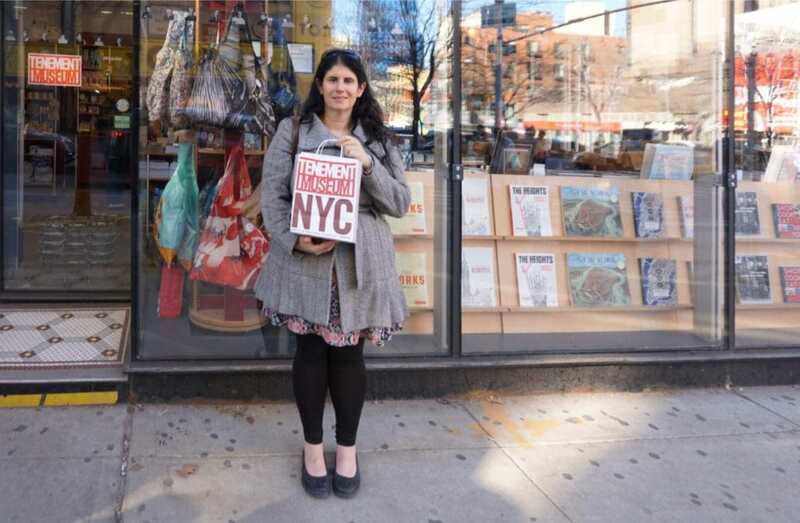 If you plan on doing more than one tour, please keep reading for the Tenement Museum coupon code in the Expert Tips section. Note: The Tenement Museum is not included in any NYC attractions pass so you need to buy the tickets directly from the museum. I know it may be hard to decide which guided tour to take, but I don’t think you can go wrong with any of them based on the Tenement Museum reviews I read. I decided to take the Shop Life tour, which focuses on the first floor of the building which was mostly commercial space. The tour guides do not go off a script, they know their stuff and are happy to answer any questions. Our tour also included interactive discussions which helped you learn. The tour guides will pick you up at the Visitor Center. I should mention that the Visitor Center also has a gift shop with lots of interesting items. You will want to allow some time to check it out either before or after your tour. Our tour started with a brief introduction outside then we entered the part of 97 Orchard St that was a German Beer Saloon from 1864 to 1886. They did a great job recreating what was it would have been like back then. Unfortunately, no photos are allowed inside. We took a few minutes to look around and then took our seats so that Sarah could tell us more. A German couple (the Schneiders) ran the bar together and throughout our tour, Sarah shared information about them so that you felt like you knew them and the struggles they faced. We also got to see artifacts like their marriage announcement. Unfortunately, they have not been able to trace the family lines to current day like they have with many other families that lived in the building. It was interesting to learn the origins of some of today’s culture. I didn’t realize that German beer saloons were some of the first places where it was acceptable for men and women to drink together. Now, although men typically outnumber the women at bars, everyone is welcome. I also enjoyed the role-playing activity that we did. We were each given cards with information about a real person that would have frequented the saloon. We had time to go around and meet the other people and learn about them too. I was impressed by how much information they knew about these people that lived over 100 years ago. As the tour progressed, we learned more about the Schneiders’ lives as we walked from the bar into the semi-private room that they would rent out for private meetings. 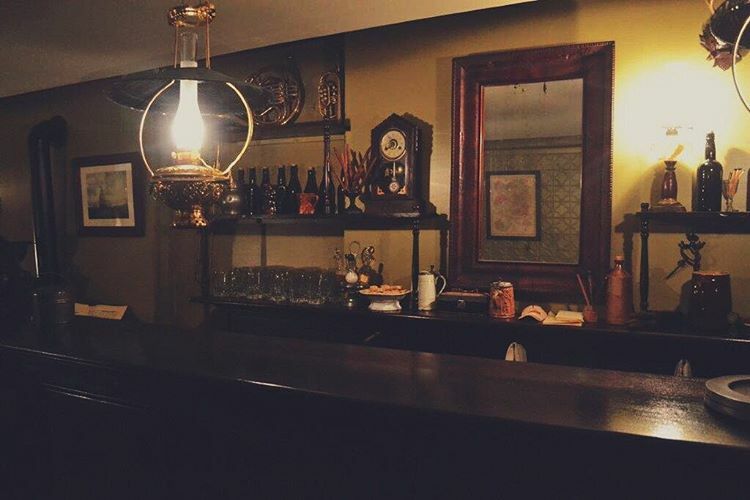 Decorations on the wall and artifacts in the room show that Mr Schneider belonged to a charitable group called the Oddfellows that looked after poor people in the neighborhood. After the meeting room, and a quick peek into their small private family space, we moved to an area that had not been restored. Here we learned about how some of the restoration was done. We could see the layers of paint and plaster on the wall. Sarah also showed us some artifacts that had been discovered during the restoration. I was fascinated that they found a broken beer mug that was probably used at the German Beer Saloon. The German Beer Saloon was not the only business that occupied the space over the years. After it closed in 1886, a kosher butcher opened, then an auction house, and it later became an underwear shop. The last part of the tour we learned more about those businesses in a high tech interactive exhibit. As our tour wrapped up, Sarah shared with us a short film about two Yemeni brothers who opened a bodega in the neighborhood about thirty years ago. They worked hard keeping the store open 24 hours a day without ever closing. Even, with no power during Hurricane Sandy, they stayed open so that those in the neighborhood had something to eat. These brothers care about New Yorkers and love America. Anisa in front of the Tenement Museum Visitor Center. It was powerful to see that while the names and faces in the area have changed, its fundamental character has not. 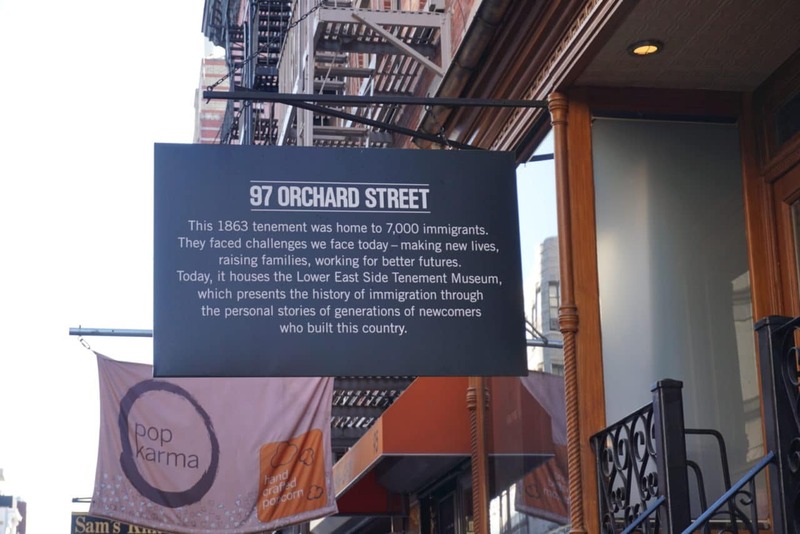 During our tour of the Tenement Museum in Manhattan, we found out about and connected with, generations of people who had lived in the neighborhood and worked hard to make their way in the world. These two brothers are the latest in a history of people stretching back over almost a hundred and fifty years that have moved to New York, set up their own businesses and tried to find the American Dream. I felt a real sense of sadness that in the current political climate, the future of this way of life, and an integral part of what makes America the country it is, and gives New York its character, is now under threat. To me being the land of opportunity and a place where you can practice whatever religion you choose are principles our nation was founded on. These principles are what make America great. I cannot imagine what our country would be without immigrants. I left the Tenement Museum feeling that the ongoing story of the immigrant community on the Lower East Side is, in some ways, the story of America. If this comes to an end now, I worry that our country and the city I love will have lost something very precious along the way. Buy your tickets online in advance to make sure you are able to go on the tour of your choice. Use the Tenement Museum discount code “WALK” at checkout to receive 40% off your second tour. Take some time to explore the huge range of products for sale in the Visitor Center. It’s a great place to pick up gifts! Disclosure: No financial compensation was received, but the New York City Tenement Museum did provide complimentary tour tickets. As always, opinions expressed here are my own. We are happy to co-host the Weekly Postcard Linkup. Everyone is invited to join us and share their travel blog posts here beginning at 12 p.m. (PST) / 8 p.m. (GMT) Friday, February 26th. The instructions are below, but if you have any questions, feel free to reach out to us. Happy Travels! PreviousBike Across the Golden Gate Bridge: Another off my Bucket List! Kat – I don’t really want to get into a discussion about the legality/illegality of immigration or who should or should not be allowed to come, this is a piece about the importance of immigration to the culture and the diverse mix of the area at a time when its more of an issue than it has been at any time in recent history. This looks really interesting – I’m heading to New York next week, but I don’t think I’ll be able to squeeze this in. I’ll have to save it for a future trip. Leigh – Sounds good. It’s a really interesting museum and I really enjoyed it, so hope you get to go in the future. Thanks Tania. Glad you enjoyed it. What an interesting museum. I’ve been to NYC a few times and I had no idea it existed. I’ll have to try to find time to visit the next time I’m in the area. Kris – Thanks yes it was different from any other museum I have visited and I really enjoyed it. Thank you for this blog. I’m taking my younger brother to NY for a surprise trip and this would be perfect to add to our list. Leah – Glad to hear that. You will really enjoy it. My parents are both immigrants, so this hits home! I love New York for its diversity and love to see the rich history of our immigrant culture remembered and celebrated. The Tenement Museum is a must-see for me for sure the next time I’m in the city. Lynn – Thanks so much, glad to hear others feel that way. Wow what a neat experience. I’ve been to NYC many times but never been here! I should check it out next time I’m in town. Meg – Yes, I think you would really enjoy it. I am from New York and this post brings up such good memories of when I visited the Tenement Museumin High School. I loved it because you feel like you are traveling back in time. Thanks for sharing and making me wantt to takea visit. Kelly – Glad to hear you have good memories of your visit. Yes they did a great job of restoring everything so I agree you do feel like you’ve gone back in time. I’ve never been to New York,but everyone is saying that the city itself is great. And if in that city there is a museum like that, it sounds even more attractive. I’ve always loved old stuff, and even though it is not as old as what we have in Europe, it remains very interesting to understand a country. I didn’t know that about the area. I love the German Beer Salon, so much rich history. Love it! Thanks Becky. Yes, it was a great experience. Sounds very interesting! I have never been there and maybe we’ll check it out when we are in NYC later this year! We went to a similar sort of museum in Birmingham, England that was a former tenement (although much older!) and it was a very neat experience. Jessica – Yes it really was interesting so I hope you can visit when you are in NYC. Thanks for the tip. Will have to check that out when I visit Birmingham. This is super interesting for me because I’m currently working on a series about micro-apartments. As I read about the laws that prohibit apartments under a certain size, I couldn’t help but dig into the history of tenements in cities like New York. So cool to see these photos after reading so much about them! Robin – Glad to hear you found it interesting. I hope you get the chance to visit the museum, I think you would really enjoy it. I’ve visited all seven continents and more than fifty countries but the only time I’ve spent in New York City was New Years eve in my early twenties which I can’t really count. I would love to visit the Tenement Museum to learn more about how immigrants created the culture. It definitely sounds like a place many Americans should see these days. Thanks for sharing your expert tips. Thanks Michelle. I hope you get to come back and spend more time in NYC. I really love that kind of museums where you can see the real world. This role playing things also sound very good, and I’m working with an initiative in my country, an initiative to bring role playing in museums. Keep the good work, and cheers! Thanks Lana. That sounds like a great initiative. I visited this museum very briefly when I was in college. We had a customized tour for a work project. I’ve been meaning to go back but haven’t made it. Your experience sounds so interesting I will be pushing this near the top of my bucket list! Stephanie – Thanks. It took me awhile to finally make it to the museum myself but it was definitely worth it. That tour sounds like it would be right up my street. I love digging a little deeper and finding out how different cultures shape a neighbourhood. Maria – Glad to hear that. Yes, I think you would really enjoy it. I love historical museums (I mean most are related to the history of a place I presume). A personal favorite of mine, the Holocaust Museum in D.C..
Maegan – Thanks. I haven’t been to that one yet, so thanks for the recommendation. Will have to check it out the next time I am in DC. Thanks Ahila. Yes it often gets over shadowed by some of the more famous museums, but it really is a must visit. I will definitely check this out next time I visit NYC. Love that one family is followed through story and interactive play. Museums don’t have to be lofty places to be priceless. Thanks Elaine. I think you will really like it. Thanks so glad to hear you found it inspiring! This sounds like one of the most cool museums I’ve heard about! I WOULD love the role playing, that sounds like a great way to learn and meet other travelers. I’ll definitely need to go here next time I am in NYC! Susanna – Thanks! Yes you would really enjoy it. Hilary – Great! Yes I think you will enjoy it. This is such an interesting museum.I would definitely love to visit the next time we are in NYC. Love that whole role playing portion. I haven’t heard of it before and with everything going on right now, it really is important for everyone to understand the importance of immigrants in many places. Mary – Thanks yes you would love it. It was such a unique experience. Seems like a great experience at the museum and a chance to gain some insight into the life of a migrant during those years. Visiting places like this certainly can put a lot of things in perspective. I like that you were able to learn about their journey across the generations. Not your average NYC sight, but seems worth it. David – Yes, it really is a unique experience and it really did help me put things in perspective. What an interesting insight this museum seems to provide. I bet it was interesting and eye opening to hear about all the different stories they had to tell. I would love to visit some day! So glad you found it interesting and yes agree it is eye opening.